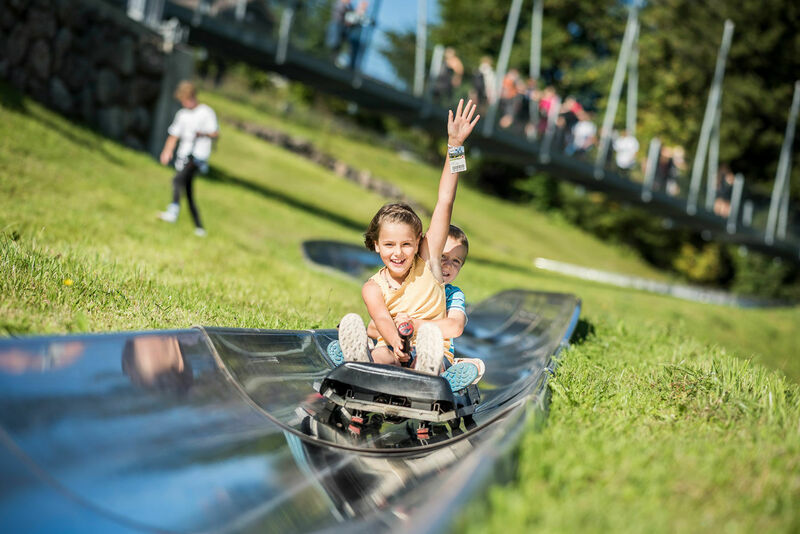 With the toboggan run, the tubing track and the numerous bouncy castles and trampolines, Rondo's children's world offers almost everything a child's heart desires. In unfavourable weather conditions, facilities may be closed or only of limited use. There is no entitlement to a refund if the faciliites are closed due to weather conditions. The bouncy castles are suitable for children up to 12 years of age. The tubing track may be used alone from the 4th birthday onwards. From the age of 6, the toboggan run can be used unaccompanied.